The Club Excellence (CE) Program focus for the 2017-18 season was Coach Development (CD)* and was led by Jeff Jones the AOA Coach Education Consultant. 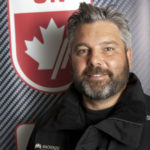 Jeff is a CSCF Level 4 Program Director, NCCP Level 4 Coach, Graduate of the National Coaches Institute of Toronto (CIO), CSCF Course Facilitator, CSCF Coach Mentor, Level 3 ACA Official, USSA Level 300 Coach, CSIA Level 4, CSCF Ski Cross Trained and SOD Committee member. Not unlike most sports, alpine skiing struggles with the retention of athletes at the U14 and U16 levels. While many factors are at play for why this happens, investing more funding into the development of our coaches is widely accepted as a strategy to help combat this trend. Every athlete deserves a great coach and with more skilled and experienced coaches out on our hills, we hope that more positive and impactful experiences will be made with our young racers which will propel them to stay in this sport longer! Every Athlete Deserves a Great Coach!! How will Coach Development be funded? Rossiter Boats has kindly donated a 2018 R17 to create the Rossiter Raffle. The Raffle kicks off early winter after a club education process. The end goal of the raffle is generating funds for Club Coach Education initiatives. This is not a fundraiser for AOA specific programs but rather designed so the funds stay at the clubs. 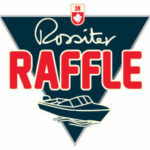 Participating Clubs will support and promote the Rossiter Boat raffle. Tickets can be reserved online here at $20 per ticket. Clubs will automatically receive 50% of all ticket funds generated (so if you sell $2,000 worth of tickets your club will get $1,000 of this no questions asked). The remaining 50% of funds* club will also come back to your club once you sign up for the program with the Club Declaration and successfully complete the end of season Coach Education Report and met the Coach Development Goals. *less marketing fees to run the raffle. Why does AOA hold on to 50%? In an effort to stimulate awareness and incentivize Ontario Ski clubs to invest in increased Coach Education efforts. Some funds will be used to cover expenses directly related to the program including the raffle license fees, marketing, coach development projects, and staffing. ALL Funds generated are used specifically to support Club level Coach Education, funds are not used for AOA financial purposes, this is a coach education fundraiser that will benefit participating clubs! How do clubs get the remaining 50% of funding from AOA? After the ACA and AOA spring meetings in 2017, along with club and coach consultation, three ‘domains’ were established specifically to improving Coach Development within Ontario Ski Racing. Meeting criteria within each ‘domain’ will depend on individual club goals. Goals will be determined in a collaborative supportive environment with Jeff Jones, the AOA Coach Development Consultant, and the club. Once clubs have met their individual goals and have reported back to AOA remaining funds are released*. The CE Program steps are listed below and are intended to be simple but do require some time to complete. AOA will assist clubs with the completion of the steps where possible and collaborate on setting realistic and attainable coach development goals. READ this CE Information package. Participate in the Club Excellence SURVEY. Promote the Raffle in your club and online through the AOA e-commerce platform ticket reservation and “in club” tickets. To promote it please download the poster here and put it up all over your club. You can also include this creative in your e-newsletters and social media to promote as well.